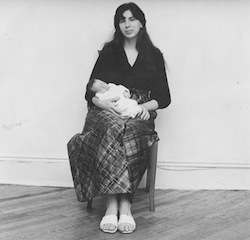 My daughter was born in 1972, the heyday of the Women’s Movement. It somehow passed me by. When friends and family visited me to see the new baby, inevitably the question, “when are you going back to work” entered into the conversation. I was totally ecstatic about staying home to be with my baby as long as my artist husband Simon, my baby Simone and I could hold out. By some miracle, and with the help of a rent-controlled apartment, I was able to stretch out my home time for two and a half years. We were rather poor but I was happy as a lark. I didn’t care if, as many friends told me, I was being rather retro in my domesticity. Each day my baby surprised me with something new – a smile, a word, a gurgling along with a song. My problem was that I knew almost nothing about how to care for an infant or a toddler. I was full of questions. Why was my friend’s baby crawling when my little sunshine was content to sit with her toys and play? Baby Jennifer was starting to walk at 11 months. My Simone took one flop at eleven months and decided to put off walking for another two months. 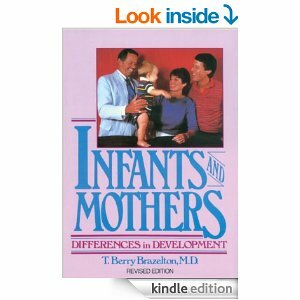 Luckily for me, a wise friend gave me the gift of Berry Brazelton’s book Infants and Mothers: Differences in Development This book was a classic presentation of child development and a “must read” guide for new parents in the 1970’s. .In this book, Dr. Brazelton followed the development of three different babies. All three of the children fell under the umbrella of being “normal” but their development and personalities were greatly diverse. Reading this helped me to stop making comparisons. I just concentrated on and celebrated my daughter’s achievements. Now let’s jump ahead to the present and to the Common Core Learning Standards for children in Pre-k through grade 2. Can you imagine how devastated I would have been if there was a checklist of what standards Simone should have mastered at the end of each year? What if the “standard” for year one would say that by the end of the first year, the 12 month old child will be starting to walk? Perhaps I might have considered my beautiful, and bright baby to be a failure! Thank goodness that T. Berry Brazelton’s examples so clearly illustrated, that children don’t develop skills in a lockstep manner. You might be asking yourself what my examples have do with the Common Core Learning Standards for Pre-Kindergarten, Kindergarten, Grade One and Grade Two? As an early childhood teacher, I always had high standards for my children. That said, I also understood, that I needed to allow young children a wide berth for growth and success socially and academically. For some children, learning to read and write was as easy as ABC. Others needed more time to put the puzzle pieces of written language together. The common core learning standards are in desperate need of revision! Whoever is creating and publishing these standards needs to remove the standards for Pre-kindergarten, kindergarten and first grade. Begin the standards with second grade and early childhood teachers will have the big picture of what their students eventually must be able to do in all of the academic areas. Wouldn’t it make so much more sense for the early childhood standard to say that “by the end of second grade, children will ask and answer questions about key details in a text and answer such questions as who, where, when why and how to demonstrate understanding of key details in a text” and leave it at that? It isn’t unrealistic to expect that” by the end of second grade children will compare and contrast the most important points presented by two texts on the same topic.” Some children will be meeting this standard by the end of first grade, just as baby Jennifer could walk at 11 months. Others, however, may need a little more time to reach this particular standard, just as Simone needed a little more time to gain the confidence to start walking. I can tell you for a fact that the adult Jennifer and the adult Simone are doing just fine with their walking, talking, reading and writing. Perhaps if there were early childhood educators and parents of young children on the committee that drew up these common core learning standards, there would have been more understanding of how young children develop. Perhaps each skill should not be broken down by grade but rather by what we would expect a child to know before going into third grade. This might take some of the stress out of the early childhood classes and allow for a return to classes where children have time and opportunities to explore, investigate, take risks without fear of failure and, (might I add this controversial word?) play! George Bernard Shaw wrote, “What we want is to see the child in pursuit of knowledge, and not knowledge in pursuit of the child,” Let’s not be lead by an unrealistic checklist of skills for young children. Instead, let’s heed the words of George Bernard Shaw and give young children many opportunities for pursuing knowledge in classrooms that respect the diversity of each child. We should be creating educational environments that acknowledge the wisdom and research of Dr. Brazelton and so many other educators such as Deborah Meier, Alfie Kohn and Carlina Rinaldi, who tirelessly advocate for developmentally respectful education practices. Let’s not let a checklist of inappropriately constructed early childhood standards take away the child’s joy of learning and the teachers’ joy of teaching! 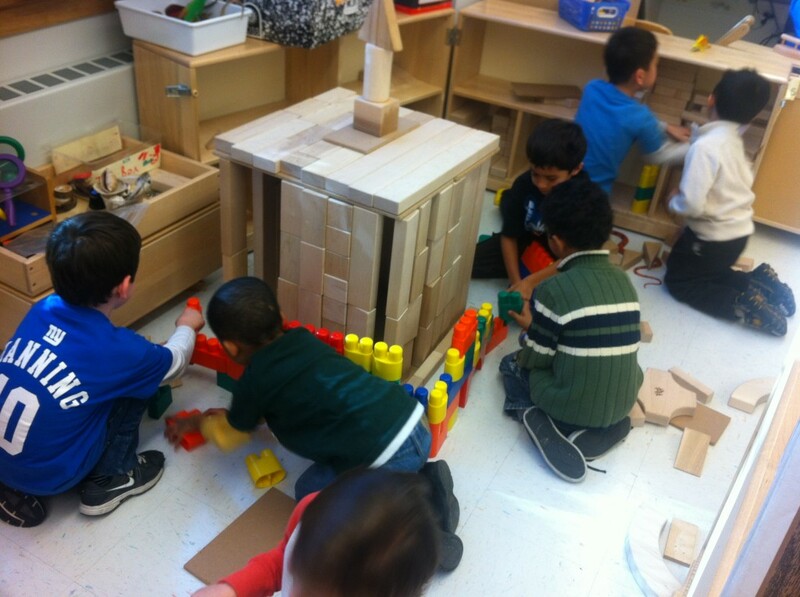 This entry was posted in Investigating Choice Time: Inquiry, Exploration, and Play and tagged Alfie Kohn, by the end of second grade, Carlina Rinaldi, Deborah Meier, diversity, George Bernard Shaw, T. Berry Brazelton on June 20, 2014 by Renee.